The Iranian Navy has successfully test-fired its Nasr sea-launched cruise missile, Defense Minister Hossein Dehghan said. The test took place during large-scale military drills stretching over an area covering 2 million sq km in the Persian Gulf. 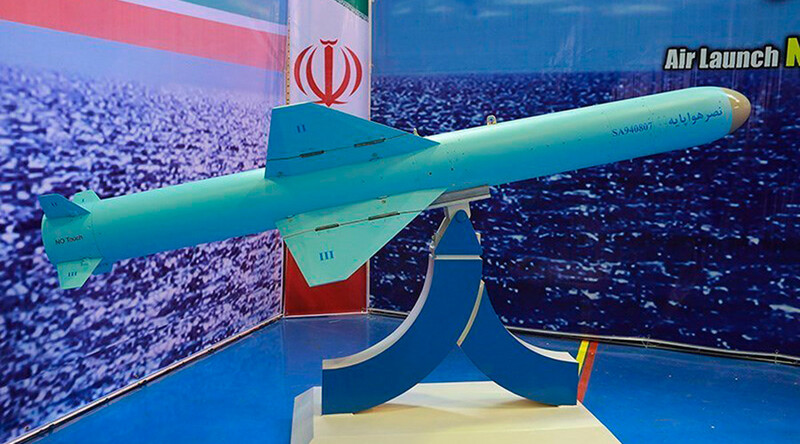 The latest naval cruise missile, called Nasr, was test-fired during ‘Velayat 95’ naval exercises stretching from the Strait of Hormuz and Oman Sea to north of the Indian Ocean, Defense Minister Hossein Dehghan said, as quoted by the Fars news agency on Monday. The Nasr was successfully launched and hit the predetermined targets, the minister added, according to Mehr news agency. Tasnim news agency meanwhile reported that the Iranian Navy had also successfully test-fired an advanced domestically-made laser-guided missile system dubbed Dehlaviyeh, “specialized in targeting vessels and ships." The Dehlaviyeh anti-ship missile was reportedly tested for the first time and hit the target as well. The ‘Velayat 95’ drills kicked off on Sunday following an order from Iranian Navy Commander Rear Admiral Habibollah Sayyari. The drills are said to involve homegrown submarines, naval aviation, reconnaissance aircraft and unmanned aerial vehicles, and also amphibious assault and Special Forces units, TASS reports. Iranian officials insist that the war games do not violate the Joint Comprehensive Plan of Action (JCPOA) – the nuclear deal between Iran and the Group 5+1 (Russia, China, the US, Britain, France and Germany) signed in January of 2016. The UN nuclear watchdog said on Saturday that Iran has been found to be in full compliance with the nuclear deal. In early January, a US Navy destroyer fired warning shots at four Iranian military ships that were allegedly approaching it at high speed near the Strait of Hormuz.